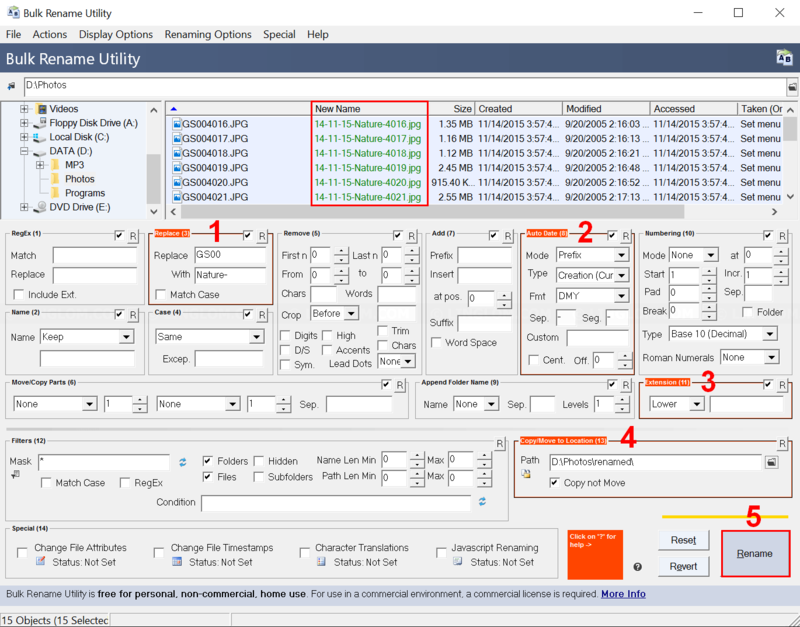 If you want to rename multiple files, for example, insert prefix to 100 files, or add created date to photos, it is quite a time-consuming task if you have to do it manually. 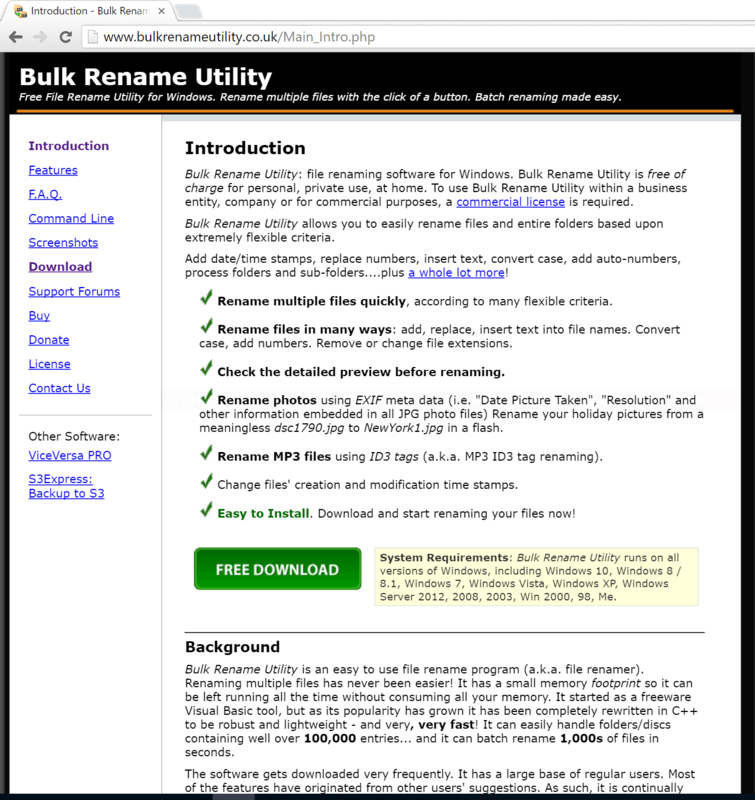 There is a free tool, Bulk Rename Utility (BRU), which allows you to rename multiple files at once with a wide range of renaming options. 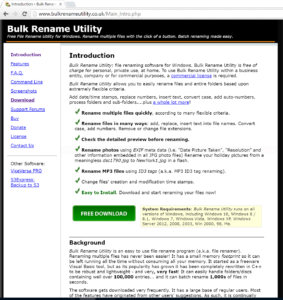 Download and install Bulk Rename Utility. 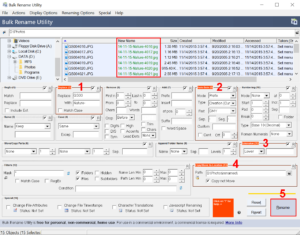 Click Download on the left menu and click Download Bulk Rename Utility. Run the file to install it. Select a folder that contains files that you want to rename. Select files that you want to rename. 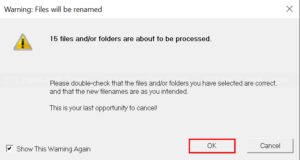 Configure renaming options. In this example, I will demonstrate with the following renaming options. I want to replace the prefix of these files so I enter GS00 on Replace field and Nature- on With field in Replace section. Add created date to filename by configure Auto Date section. Set mode to Prefix and add dash (-) between the figures. 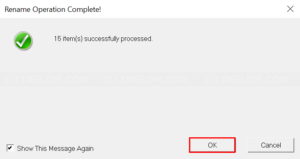 Change extension to lower case by configure in Extension section. I don’t want to rename the original file so I choose a folder on Path in Copy/Move to Location section and check the option Copy not Move. You will see preview name in New Name column. 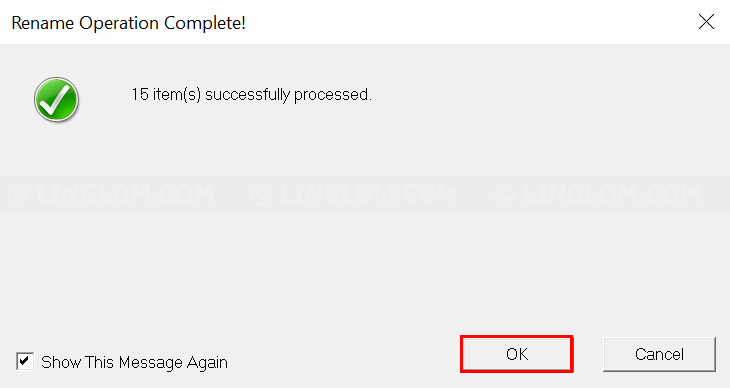 Click Rename at bottom right to begin the process. 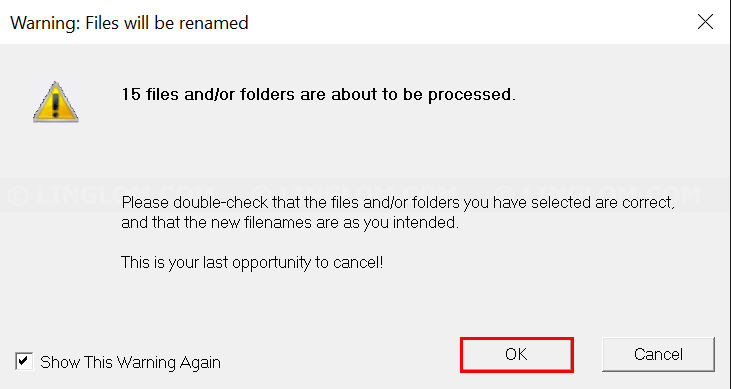 Note: You can’t undo the renaming process so make sure that the new filenames are as you want before continue. Browse to the folder and you will see the result.